As it is known, you can sync and merge contacts from iCloud between your Apple devices like iPhone, iPad and Mac. However, for various reasons, there are quite a number of people who don’t like iCloud at all just like the iPhone user mentioned above. What should you do if you just want the contacts transferred to your Mac without using iCloud? Fortunately, it is easy enough to merge contacts from iPhone to Mac directly. All that you need is a third party iPhone data recovery software which can export all the contacts stored currently on your iPhone selectively and transfer to computer as .csv file for record keeping. This specialized iPhone data recovery software is available for both Windows and Mac version, please choose the right version to download and install. Here in this post, you need to download the Mac version. 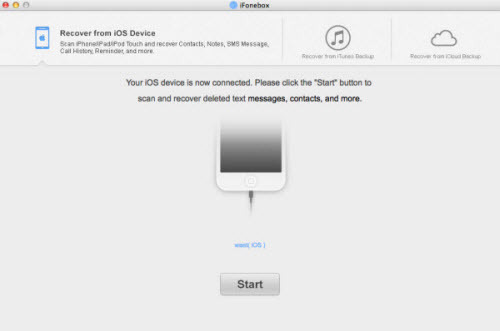 > Install and launch iFonebox on you Mac computer. > Connect your iPhone to your Mac. > Click Start from the startup interface after your iPhone is recognized. > Preview the exported contacts items and select what you want to recover to your Mac. 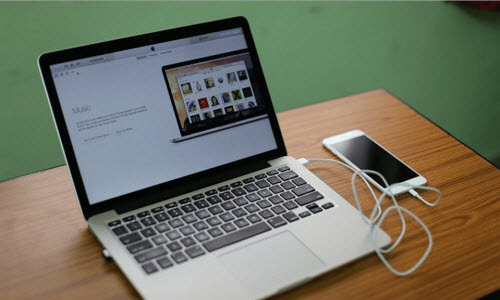 If your iPhone is not at your side and you have iTunes backup, you can export all your contacts from iTunes backup and then copy to your Mac. Here is how. > Install and run iFonebox on your Mac. > Choose recovery mode of “Recover from iTunes Backup”. > Select iTunes backup from which you want to export your contacts. The contacts will be imported as CSV and HTML file, you can copy wherever and whenever you like. As we all know, the difficulty in restoring iCloud data from a back up is that the back up is older than the current version on iCloud and anything that is restored gets removed again when an iCloud sync occurs. Now you have independent record keeping for your contacts, so you don’t need to worry about so any more. This entry was posted in Apple, iCloud, iPhone, MacBook, Tips and Tricks and tagged copy contacts to mac, merge contacts, merge contacts from iPhone to Mac by IosdroneD. Bookmark the permalink.